Mona Bector will be one of two assistant city managers at City Hall, replacing a longtime deputy city manager retiring this summer. A Boston-area consultant and former public official under New York City Mayor Michael Bloomberg’s administration has been selected as Portland’s new assistant city manager, according to city officials. Mona Bector will fill one of two assistant city manager positions created in the recently approved budget, replacing the positions of deputy city manager and city manager’s senior policy advisor positions. The reorganization comes as Deputy City Manager Anita LaChance is retiring in August after 38 years with the city. After working in the private sector as a consultant, Bector said Wednesday that she was looking to re-enter the public sector when she saw Portland’s position being advertised. She said she decided to choose Portland over opportunities in Rhode Island and Pennsylvania, after meeting City Manager Jon Jennings. Jennings said the city will likely hire its second assistant manager in July. At that point, he will sit down with both to discuss ways to reorganize the executive department and divvy up responsibilities. “We are in process of reorganizing the executive department to make it more responsive and spreading the responsibilities out a bit so we can start focusing on – not necessarily the crisis of the moment – (but) long-range planning for the operational and aspirational opportunities for the city,” Jennings said. Bector, who said she is in her 40s, is moving to Portland’s India Street neighborhood with her husband. 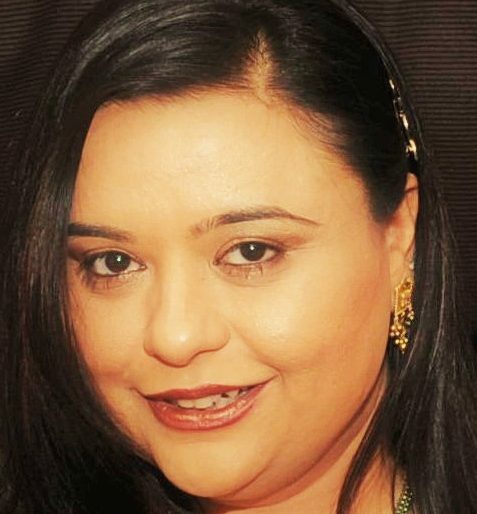 Born in India, she has lived in the United States for the last 34 years and has either lived, worked or studied in 16 different countries, which she said has given her an appreciation for different cultures. According to her resumé, Bector has held senior executive positions in state and local government for the last 12 years. She was an assistant commissioner from 2003 to 2013 for a variety of city agencies under Mayor Bloomberg, including three years as the assistant commissioner of operations for the Department of Consumer Affairs, which licenses and enforces consumer and workplace laws for over 81,000 businesses. Since 2016, she has been a principal consultant for business transformation at M&M Consulting, based in Greater Boston. Bector, who holds a bachelor’s in education from City University of New York and a masters in international business from Nyenrode University in the Netherlands, will start on Tuesday and earn a salary of $140,000, the city said. Jennings said he hopes to put Bector’s “phenomenal skill set” to work restructuring the city’s informational technology department and helping to roll out so-called “smart city” initiatives. “We are so fortunate to have been able to attract someone of her skill set and background to the city of Portland,” Jennings said.